Today's my last post for this week. I'm headed to Florida for an abbreviated vacation. So, today, I'm going to look at a few works of fiction about Florida. Fortunately, I won't be involving myself in any goings-on like the characters in these novels do! Serge A. Storms returns! The world's most beloved serial killer is back with an Oscar-worthy cast of Sunshine State nut jobs and his insatiable passion for All Things Florida. During this latest cavalcade of nonstop felonies—from Tampa to Fort Lauderdale to Orlando—Serge finds time to resurrect his obsession with movies, particularly those showcasing his beloved home state. And he wants answers! Why aren't more films shot there? How come the ones that are stink so bad? And what's up with filming "Florida" scenes in California? Then there's the cryptic message from his grandfather, Sergio, telling him to go to Los Angeles to uncover a mysterious secret from the distant past. "Thirteen-year-old Berry Jackson has more good sense than all the Bible-thumping grown-ups in her hometown of Pinetta, Florida. In the woods behind Berry's house are the swamp and the snakes and the quicksand, where men are said to have been swallowed up whole, leaving only a hat or a handkerchief as evidence." "Pinetta is the kind of small southern town where not much happens in a day but a lot can happen in a summer. 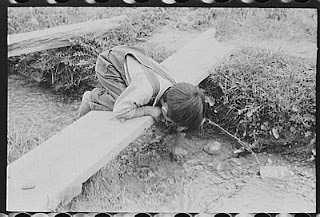 As Hot As It Was You Ought to Thank Me tells the story of the long, hot summer when Berry's father disappears, her mother lusts after the preacher, and a handsome convict comes to town to repair the dusty roads damaged by a hurricane." Berry doesn't understand her world perfectly, but she calls things what they are - sometimes that's as much clarity as anyone should expect. In a town where everyone with a dream seems to want to flee, what Berry ultimately discovers is that you don't have to run to find yourself. Doc Ford is drawn into a deadly battle when his goddaughter Shay is blackmailed. Someone filmed her at an out-of-control bachelorette party-and they want big money to keep it quiet. When Ford investigates, he finds that the woman responsible is an agent of corruption unlike any Ford has ever encountered before. And she may be the last encounter he ever has. Enjoy your virtual trip to Florida while I enjoy mine. See you on Monday! Okay, so there's this new book we recently received, Don't Throw It, Grow It: 68 Windowsill Plants from Kitchen Scraps, by Deborah Peterson and Millicent Selsam [635 PET]. I was reading the back cover and found that author Deborah Peterson is "a founder of the Rare Pit and Plant Council." Who knew that there's a Rare Pit and Plant Council? The Rare Pit and Plant Council has its own website, and publishes an occasional newsletter, the latest edition of which can be found here. NPR featured a story about teens who make their own dresses for the prom. Mentioned was a girl who is using duct tape to achieve her perfect dress! Duct tape has long been a favorite of handy, and not so handy, men, and the duct tape craft came shortly after the tape made it appearance on hardware store shelves. From wallets, to dresses, duct tape craftsmanship has improved over the years. 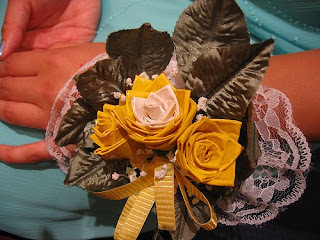 There are even contests for making the perfect duct tape prom outfit (for both females and males). One is being held by Duck brand Duct Tape, and this is the 9th year the contest has taken place! View last year's winners here, they'll surely surprise you! If you're the least bit interested in crafting with duct tape--and who isn't?--then look for Got tape? : Roll Out the Fun With Duct Tape! : 25+ Quick and Easy Duct Tape Projects for the Whole Family by Ellie Schiedermayer [745.5 SCH]. Robert Penn Warren was born on this day in 1905. Many people don't realize that he wasn't only a novelist, he was also a poet. By the time he was a student at Vanderbilt University, in the early 1920s, he had taken up poetry. He later went on to teach poetry on the college level, and in 1986 he was named as the first Poet Laureate of the United States. Warren won a Pulitzer Prize in 1947 for his novel, All the King's Men [F WAR, also AB/CD WAR], which tells the story of Willie Stark, a southern politician who fell victim to the lure of power and money. The book was inspired by the Louisianan politician, Huey Long, and is the work Warren is most famous for. He was a poet of complex works dotted with philosophical reflections--poetry he knew would appeal to a small group of readers. He was awarded the Pulitzer Prize for poetry twice, in 1957 and 1979. His longtime friend, the educator and writer Cleanth Brooks, said yesterday, "He was a gentle and fine spirit, a valiant warrior for the truth, and one of our very finest poets." Below is one of Robert Penn Warren's shorter poems. I have come all this way. I am sitting in the shade. On my small son playing in the afternoon's blaze. Fell. What do I remember? I heard the swamp owl, night-long, call. The far car's headlight swept the room wall. I am the dark and tricky one. I am watching from my shade. Your tousled hair-tips prickle the sunlight. I watch you at your sunlit play. Teach me, my son, the ways of day. To read more of Robert Penn Warren's poetry, pick up Selected Poems 1923-1975 [811 WAR]. Please visit Lisa Chellman's blog for the Poetry Friday Round-Up. Despite remarkable similarities with humans, gorillas and other nonhuman primates are wild animals with their own developed social culture. Humans, in their interactions with these animals, need to keep this in mind. I came across a short article, complete with photos, of a program at the Rotterdam Zoo. 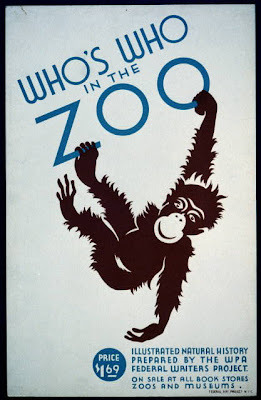 The "eye glasses" program came about as a result of a gorilla attack at the zoo back in 2007. Instead of mentioning the benefits of using compact fluorescent bulbs, or buying hybrid vehicles, I'm going to celebrate Earth Day by telling you about another way you can help save the earth--lose some weight! Oh, yes, one more reason for dropping those pounds--as if staying healthy isn't enough! Reuters carried a story on Monday called, "Stay Slim to Save the Planet". It's a short piece and worth reading if you haven't yet convinced yourself to drop a few pounds. I lost 30 pounds. My cholesterol and blood sugar went back to normal, and my doctors love me. I go to the supermarket and spend half as much money for twice as much food. I have a smug smile on my face, because by an infinitesimal amount, I'm reducing the pace of global warming. 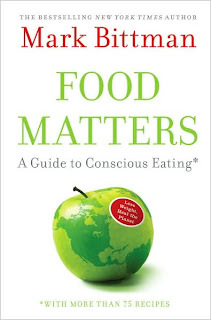 Bittman's lastest book, Food Matters: A Guide to Conscious Eating with More Than 75 Recipes [613.2 BIT] expands upon what he tells us in the interview, if you're interested in learning more. John Muir, one of the world's first conservationists, was born on this day in 1838. Muir was a successful inventor and involved in manufacturing, but, at the age of 29, an accident nearly blinded him and he made the decision to follow his dreams. He embarked upon a walk from Indiana to Florida along the "wildest, leafiest, and least trodden way." The direction of his life was set from that point on and he pursued exploration and study for the rest of his life. Incidents from Muir's life have found their way into books for children including Squirrel and John Muir by Emily Arnold McCully [JP MCC] and Stickeen: John Muir and the Brave Little Dog by John Muir as retold by Donnell Rubay [JP MUI]. 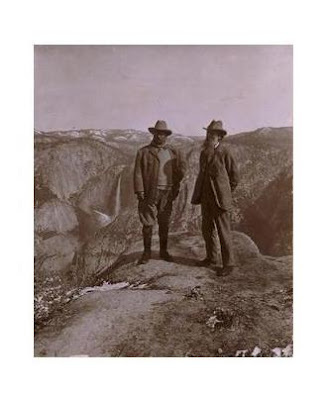 For links to other information on John Muir, visit the John Muir exhibit on the Sierra Club website. I wrote a bit about our kite books last week, but I held aside a new book by Wayne Hosking called Asian Kites: Asian Arts and Crafts for Creative Kids [J 796.158 HOS]. Asian kites are wonderful to see in flight. 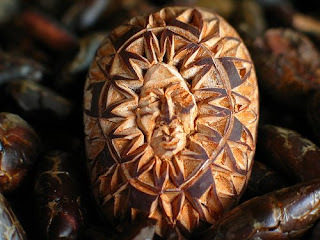 They take the form of dragons, warriors, fish, and other colorful imaginings. Kite making is an art, and kite festivals are common all around Asia. 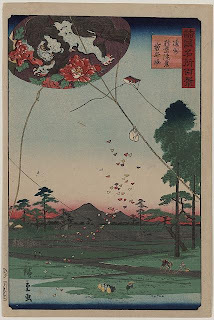 The book, Asian Kites, contains a brief history of kites (check out the photo of the Japanese kite made from a large leaf! ), general instructions on making kites, and then specific kite projects from China, Malaysia, Thailand, Korea, and Japan. The book would be great for a classroom project with its curriculum tie-ins to cultures, aerodynamics, art, and the important skill of following directions! Online you can see many kites at the World Kite Museum site. Click on "Exhibits" and then "A Kite Junket Through Southeast Asia," to see some truly awesome examples of Asian kites. What is it about Dutch painter, Johannes Vermeer, and his work, that inspires so many writers to use them as a subject in their work? I'm thinking of the contemporary novels, Girl With A Pearl Earring by Tracy Chevalier [F CHE], Girl in Hyacinth Blue by Susan Vreeland [F VRE], and the children's novel, Chasing Vermeer, by Blue Balliett [J BAL]. The painting called me into a moment so particular and fleeting, and so charged with its sense of heightened but undisclosed emotion, that I crossed the polished floor with an odd feeling of urgency to stand in front of it, quite spellbound, no doubt obstructing other tourists. 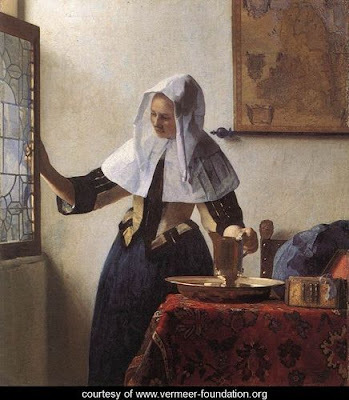 In Quiet Light is a pairing of poems and art in which the writer captures the atmosphere and speculates about the stories and emotions that Vermeer portrayed. I found this to be a most charming book! Here's a portion of the poem/painting "Young Woman with a Water Pitcher"
that one has blossomed in the night. Today's Poetry Friday Round-Up is being hosted at Becky's Book Reviews. This song has been running through my head! It's "Let's Go Fly a Kite," by Richard M. and Robert B. Sherman, from the movie, Mary Poppins [DVD MAR]. We have the soundtrack [CD SOUNDTRACK MAR], and the lyrics may be found in The New Illustrated Disney Songbook [784.62 NEW] (just in case you want to sing it yourself). It's that time of year when the sunshine, warmer temperatures, and spring breezes lead to thoughts of kite flying. Baker, Rhoda. Making Kites: How to Build and Fly Your Very Own Kites--From Simple Sleds to Complex Stunters [796.15 BAK]. Greger, Madel. Kites for Everyone [796.1 GRE], and More Kites for Everyone [J 629.133 GRE]. I'll talk about one of our newest books, Asian Kites, next week. In the 1960s, Betty and Barney Hill gained national attention when they claimed to have been abducted by aliens. And, the abduction took place in New Hampshire! New Hampshire was a hotbed of UFO sightings back in the 1960s. The book, Incident at Exeter: The Story of Unidentified Flying Objects Over America Today [HIST 001.942 FUL] by John G. Fuller, covers the story of Norman Muscarello. Our copy of the book was nearly lost when it was accidently "weeded" from our collection a dozen or so years back. We managed to retrieve it and have placed it safely in our "history" collection. Several other UFO books occupy a place on our shelves including, The World's Greatest UFO & Alien Encounters [001.942 WOR]. Unfortunately, the book doesn't have an index! (That's a BIG no-no as far as I'm concerned!) I was browsing through and I found the Hills' story in a chapter titled, "Abducted," starting on page 45. A fun book is UFOs and Popular Culture: An Encyclopedia of Contemporary Myth by James R. Lewis [001.942 LEW]. You'll find a entry for the Hills, and you'll find all sorts of films covered, too. One of the films is Spielberg's Close Encounters of the Third Kind [DVD CLO], which we recently purchased in DVD format to replace our old VHS copy. 'Tis the season for hatching, and there are any number of webcam sites that chronicle the hatching, growth, and fledging of birds. Here's one in British Columbia from the Hancock Wildlife Foundation. The Hancock Wildlife Foundation follows several nests, you can find the cameras listed here. Nesting habitat for the Bicknell's Thrush, Peregrine Falcon, and more than 70 neotropical migratory bird species. You can borrow one of our general guides to birds, or A Birder's Guide to New Hampshire by Alan Delorey [598.072 DEL] and head north to enjoy the wonders of our natural world. 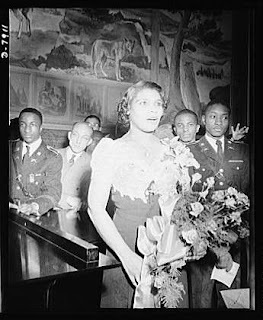 Yesterday was the 70th anniversary of the day that Marian Anderson sang in front of the Lincoln Memorial in Washington, D.C., at the request of first lady Eleanor Roosevelt. NPR's Weekend Edition Sunday had a segment on Anderson's historic concert, and a tribute concert was held on the same site yesterday afternoon. Extensive information on Anderson is available from the University of Pennsylvania's Annenberg Rare Book & Manuscript Library. Internet Archive is also a good source of information. If you don't know Internet Archive, a.k.a. the "Wayback Machine," take some time one of these days to explore its offerings. 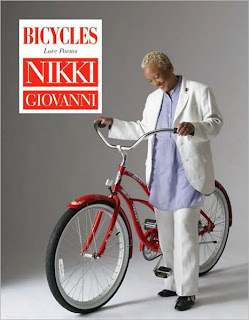 Bicycles: Love Poems is the name of a new collection of poems by Nikki Giovanni [811.54 GIO]. What an odd name for a book of love poems, I thought to myself, and as soon as I opened the book, I found this, "Bicycles: because love requires trust and balance." Ah...a great title! And I love the cover--the author and a shiny red bicycle! Giovanni writes for children as well as adults. Her work is simple--I mean that as a compliment--and direct. Many of the poems in this latest collection could be used with kids. "Shoe Jazz Blue Jazz" and "No Heaven" are just two examples. Other poems are a little more adult, but nothing that would scare anyone away! Her language is current--she talks of MapQuest and events such as the massacre at Virginia Tech (the second anniversary of which is coming up later this month). I'd recommend you trying Bicycles if you're not a reader of poetry. I think you might find you like it! And if you do, we have other collections by Nikki Giovanni for you to delve into. This week's Poetry Friday Round-Up is being held at Carol's Corner. Check it out! Get Those Brain Cells Firing! 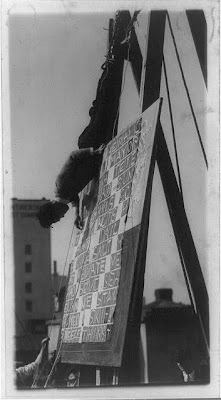 This is titled, "Harry Kahne, mental marvel and daredevil from Keiths Theatre, amuses the cross word puzzle fans as he works a puzzle backwards, while being hung from the top of one of Washington's tall office buildings." For several years now, Sudoku has been the puzzle person's addiction. Now there is a new puzzle that has come along to challenge Sudoku, it's called KenKen, and it, too, is a mathematical-type of puzzle. Time magazine had an article on its site, "KenKen: The New Sudoku," which brought the newcomer to our attention. KenKen has its own official website, and the page of FAQs should answer most of your basic questions. We don't carry Sudoku or KenKen puzzle books since they are meant to be filled in by users. We do, however, have other books of puzzles that will keep puzzle lovers engaged. To enter the world of competitive crossword puzzle solving, borrow our documentary Wordplay [DVD 793.732 WOR]. If you'd like to try a KenKen puzzle, sign up for the KenKen newsletter and you will receive puzzles by email. To the list of famous castaways, we now have to add the name, Sophie Tucker. Sophie Tucker is a dog who fell off a boat 4 months ago, swam 5 nautical miles, and ended up on an island off the coast of Australia. You can read her survival story, and view a video, here. Chuck Noland, a FedEx systems engineer, discovers new depths of physical and psychological strength when a plane crash leaves him stranded alone for years on a remote Pacific island, while back home his devoted fiancee is forced to conclude that he is dead. As the sole survivor of a shipwreck, an Englishman lives for nearly thirty years on a deserted island. Six children who try to survive on a desert island in the Pacific Ocean discover that they might not be alone. Bad luck continues to follow Tom Tin and his mates as they find themselves aboard a formerly abandoned ship, are taught to be sailors by two black-hearted castaways they rescue, and sail to a Caribbean island where they make important new friends and enemies. The elegant and romantic Abelard mouse gets caught in a storm while picnicking with his wife Amanda and is swept away to a desert island where he must learn to survive. The sole survivor of a shipwreck finds himself on the island home of the infamous Dr. Moreau whose goal is to create a powerful new breed of animal which is part man and part beast. 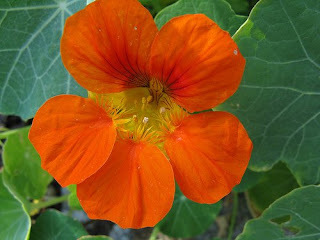 The Hanging Nasturtiums tradition began as part of her own birthday celebration and I think it really gives some insight into her feelings about how art and beauty--whether on the walls or in a garden--should be an integral part of daily life. Make sure you watch the video from last year's display, or listen to a report and slideshow from WBUR. I've mentioned it here before, but it bears repeating--the library has a pass to the Gardner Museum that can be booked either from home on your own computer, or call the library and we'll reserve it for you. Is Waldo Still Missing?--Not in New Jersey! 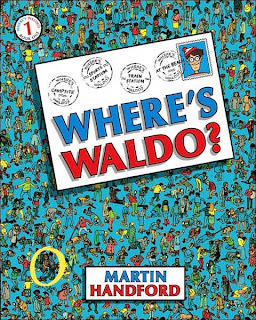 Where's Waldo by Martin Handford [JP HAN] was released in 1987. (Yes, Waldo is that old!) Waldo became an instantaneous hit and spawned several sequels--Where's Waldo Now? Find Waldo Now, The Great Waldo Search, etc. [all JP HAN]. Waldo even became an animated television program on CBS in 1991. Now, more than 20 years later, Waldo is still going strong. The books remain in print, there is a fun website--www.findwaldo.com, and people are dressing like Waldo. As a matter of fact, LOTS of people are dressing like Waldo, as I found out in this article, "Where’s Waldo? 1,052 Found in State Theatre." What I want to know is, where did they find 1,052 red and white striped shirts? To see a video of the Guinness Book record-breaking occasion, click here. The Independent had an article about the Alhambra, Spain's popular tourist attraction. 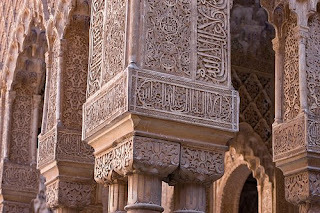 The Alhambra, built as a citadel (fortress), is covered with words and phrases, many of them from the Koran and poetry. Among them are verses by the acclaimed Islamic poets Ibn al-Khatib and Ibn Zamrak, some of which describe the place where they appear, such as the Hall of the Two Sisters, which represents a garden: "Moreover we do not know of any other garden/more pleasant in its freshness, more fragrant in its surroundings,/or sweeter in the gathering of its fruits..." wrote Ibn Zamrak. It's nice to see poetry in unexpected places such as a fortress. In the 1998 Winter Olympics in Nagano, Japan, haiku were displayed on flags around the venue. For years poetry has been found in the New York City subway system as part of "Poetry in Motion." The program was well-received by subway and train riders. If you'd like see poetry in unexpected places, you could start your own community poetry group. The Adventures of Dr. Alphabet: 104 Unusual Ways to Write Poetry in the Classroom and the Community by Dave Morice [372.64 MOR] can get you started. A few of Morice's suggestions include poems on Burma Shave-like signs, or using eyebrow pencil to place poems on peoples' faces. Now there's poetry in an unexpected place! 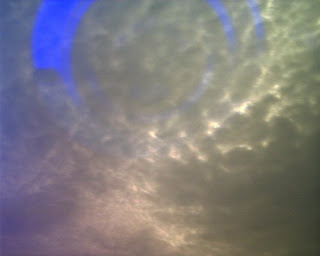 This week's Poetry Friday Round-Up is being held at ayuddha.net, which originates right here in New Hampshire! Speaking of NH--this is "National Poetry Month" and the NH Center for the Book is celebrating NH poets on its blog. You can also get there by clicking on the widget on the right. grassroots movement dedicated to promoting green initiatives in the community and advocate for changes to protect our environment from the devastation of global warming caused by carbon pollution. The goal is to raise awareness and effect broad based community action that causes positive long term environmental change in Windham. 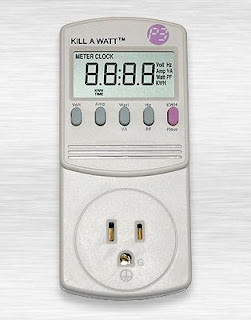 The Kill A Watt energy monitor will help you figure out how much power your computer, washing machine, Wii, and other electrical devices are using, and with this information you can then figure out and how much they're costing you on your utility bill. The monitor has been placed into a sturdy zippered bag and may be borrowed for a period of two weeks like other library materials. Its call number is KIT 333.793 KIL, but it will not be on the regular bookshelves due to security reasons, so please ask for it at the front desk. Within the bag is the Kill A Watt Energy Detector, model P4400, the manual which was packaged with the monitor, and an instruction sheet with more detailed use instructions and formulas for calculating the impact of electrical devices' use on your electric bill. Some of this information has been made possible by Efficiency Maine. Efficiency Maine has distributed 650 energy monitors to public libraries across Maine starting the first of the year. The response in Maine has been very good according to an article in the Portland Press Herald in January, "A quick look at the computerized inventories of 18 large Maine libraries showed that every library that received the monitors had already loaned them out, and that many placed holds on them for patrons waiting in line." To help you to make sense of what you're doing by calculating your energy use, we've included a book called Consumer Guide to Energy Savings by Jennifer Amann in the kit. The Lewiston, Maine Public Library has a calculator on its website that anyone can use--all you need do is check your own utility bill for your average cost per kilowatt hour, and borrow our Kill A Watt kit. Here in New Hampshire, PSNH also has an online calculator, but you need a PSNH account and you must register. Rumor has it that PSNH may be considering a library Kill A Watt program in the future. Stay tuned. Have a great day and don't take any wooden nickels!